For a list of all of the issues and pull requests since the last revision, see the github-stats. 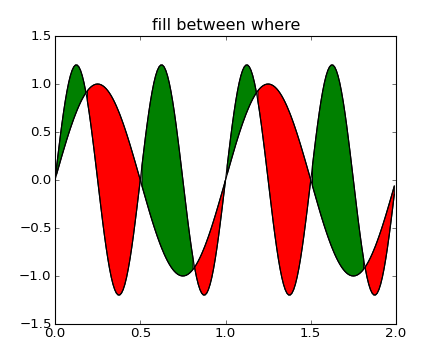 Matplotlib version 1.1 is the last major release compatible with Python versions 2.4 to 2.7. matplotlib 1.2 and later require versions 2.6, 2.7, and 3.1 and higher. Matplotlib 1.2 is the first version to support Python 3.x, specifically Python 3.1 and 3.2. To make this happen in a reasonable way, we also had to drop support for Python versions earlier than 2.6. This work was done by Michael Droettboom, the Cape Town Python Users’ Group, many others and supported financially in part by the SAGE project. The following GUI backends work under Python 3.x: Gtk3Cairo, Qt4Agg, TkAgg and MacOSX. The other GUI backends do not yet have adequate bindings for Python 3.x, but continue to work on Python 2.6 and 2.7, particularly the Qt and QtAgg backends (which have been deprecated). The non-GUI backends, such as PDF, PS and SVG, work on both Python 2.x and 3.x. Features that depend on the Python Imaging Library, such as JPEG handling, do not work, since the version of PIL for Python 3.x is not sufficiently mature. Peter Würtz wrote a backend that allows matplotlib to export figures as drawing commands for LaTeX. 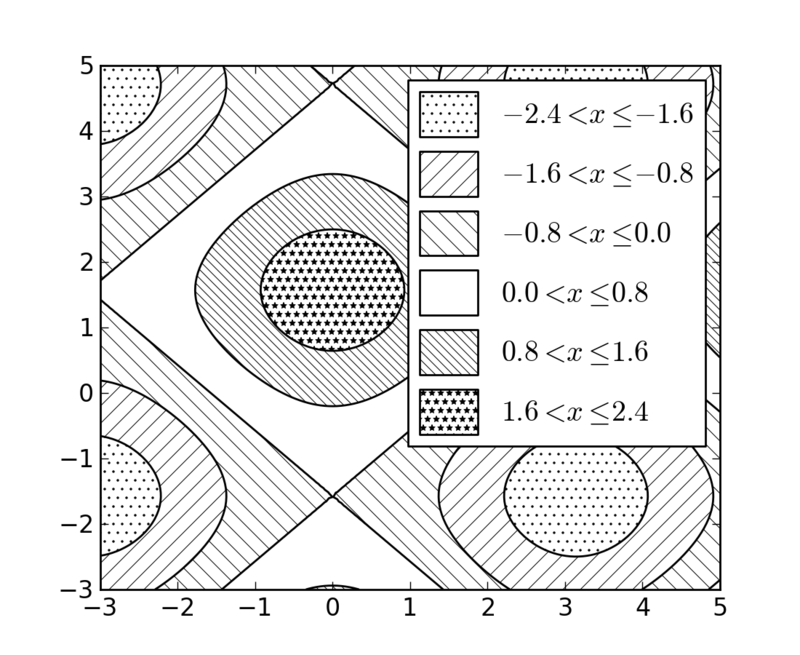 These can be processed by PdfLaTeX, XeLaTeX or LuaLaTeX using the PGF/TikZ package. Usage examples and documentation are found in Typesetting With XeLaTeX/LuaLaTeX. 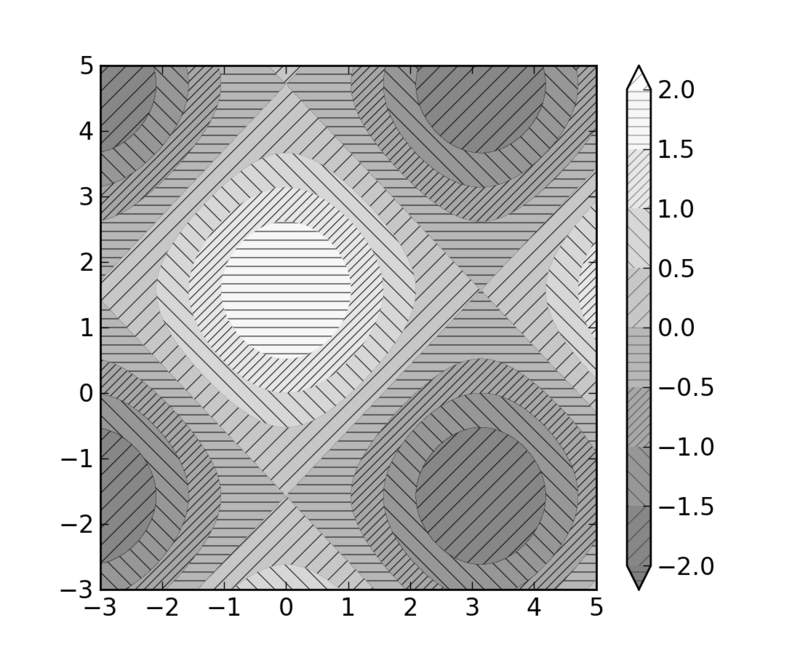 Damon McDougall added a new plotting method for the mplot3d toolkit called plot_trisurf(). 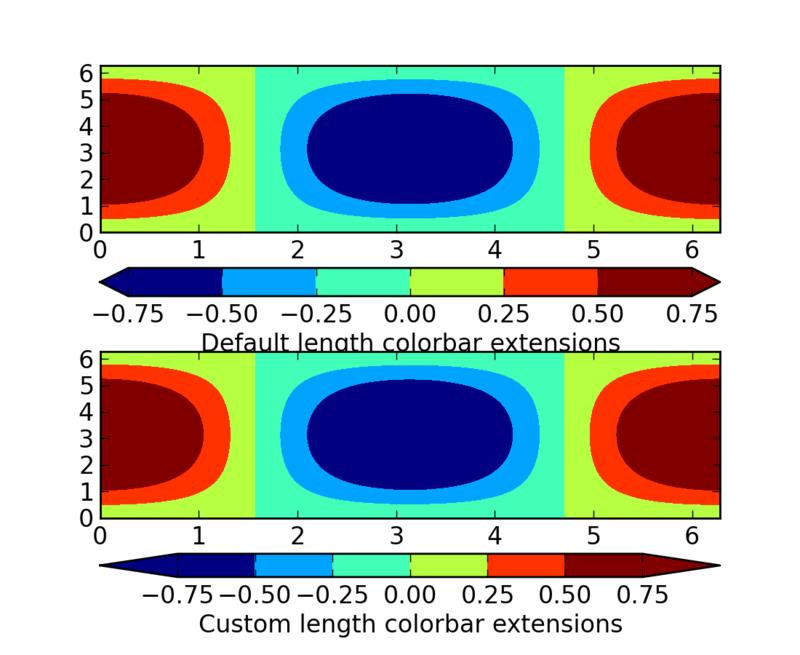 Andrew Dawson added a new keyword argument extendfrac to colorbar() to control the length of minimum and maximum colorbar extensions. Philip Elson added an experimental feature to make figures picklable for quick and easy short-term storage of plots. Pickle files are not designed for long term storage, are unsupported when restoring a pickle saved in another matplotlib version and are insecure when restoring a pickle from an untrusted source. Having said this, they are useful for short term storage for later modification inside matplotlib. 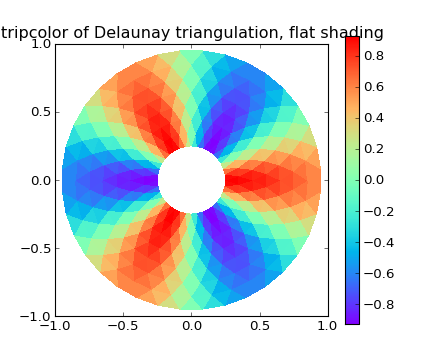 Two new defaults are available in the matplotlibrc configuration file: savefig.bbox, which can be set to ‘standard’ or ‘tight’, and savefig.pad_inches, which controls the bounding box padding. 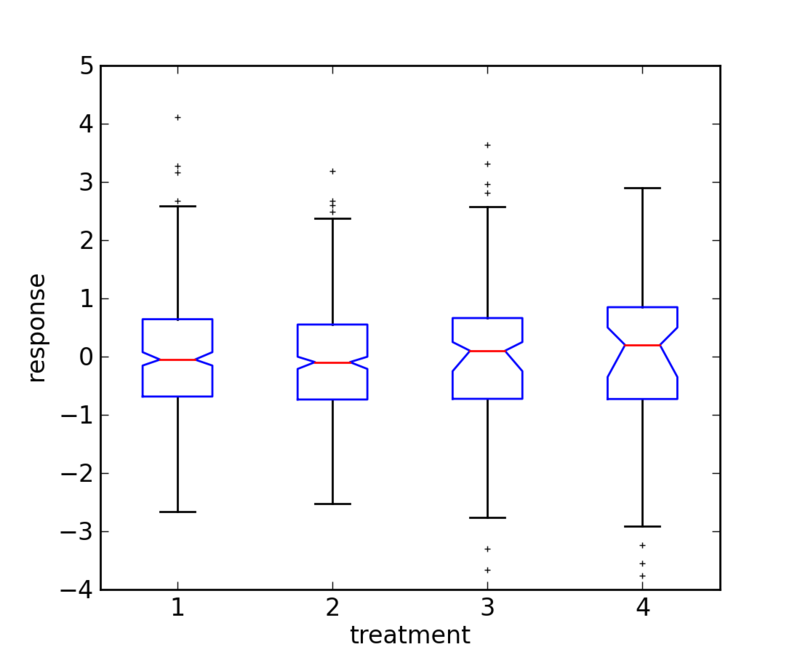 Users can now incorporate their own methods for computing the median and its confidence intervals into the boxplot() method. 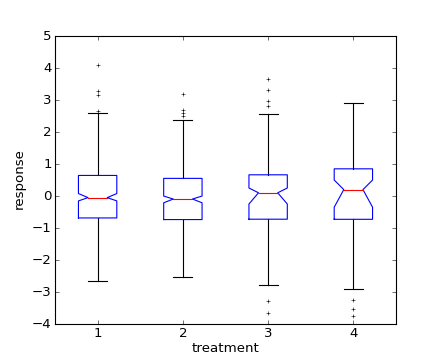 For every column of data passed to boxplot, the user can specify an accompanying median and confidence interval. 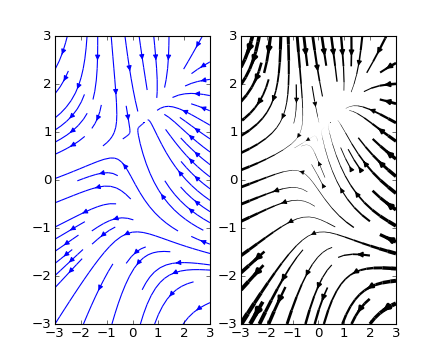 Tom Flannaghan and Tony Yu have added a new streamplot() function to plot the streamlines of a vector field. 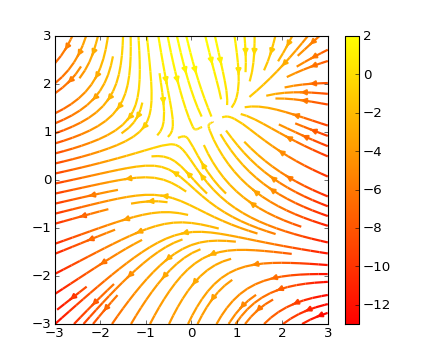 This has been a long-requested feature and complements the existing quiver() function for plotting vector fields. 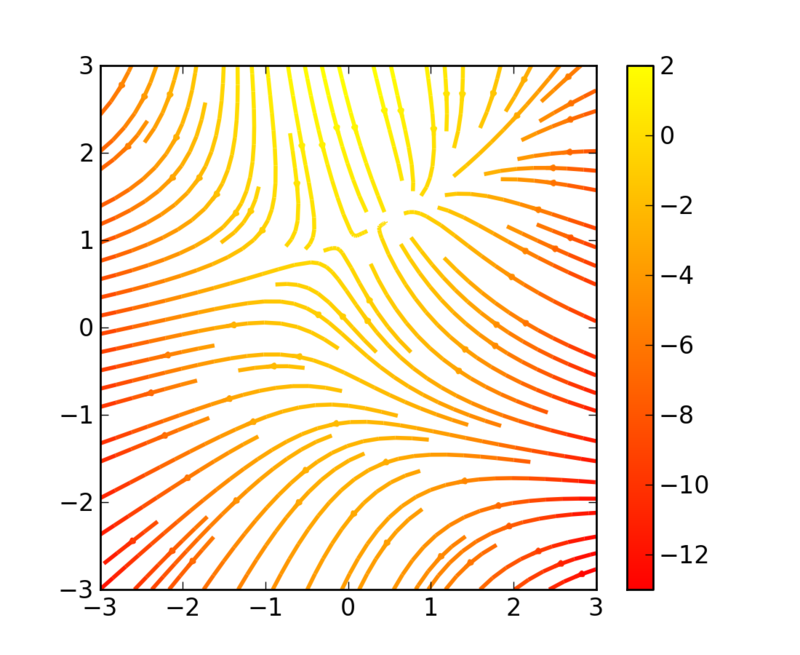 In addition to simply plotting the streamlines of the vector field, streamplot() allows users to map the colors and/or line widths of the streamlines to a separate parameter, such as the speed or local intensity of the vector field. Nic Eggert added a new stacked kwarg to hist() that allows creation of stacked histograms using any of the histogram types. Previously, this functionality was only available by using the barstacked histogram type. Now, when stacked=True is passed to the function, any of the histogram types can be stacked. The barstacked histogram type retains its previous functionality for backwards compatibility. 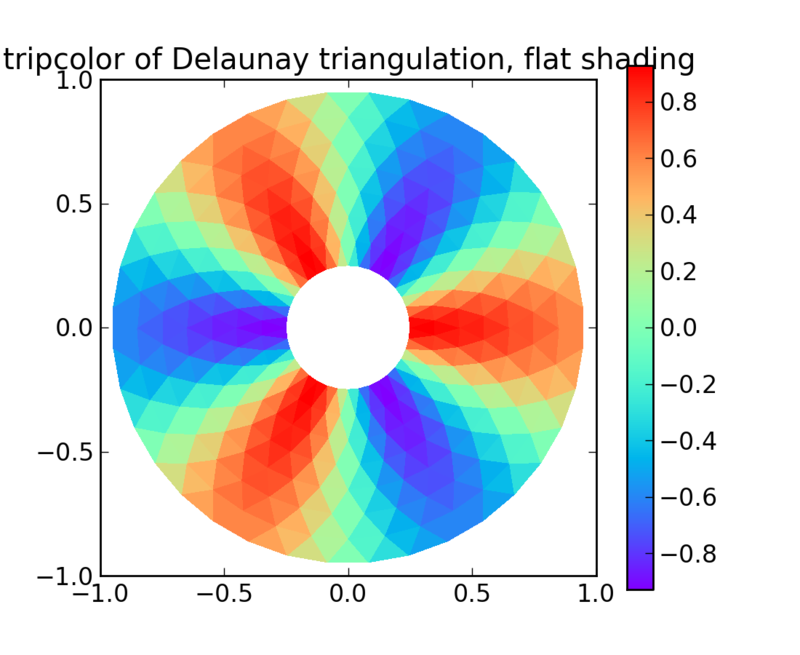 Ian Thomas extended tripcolor() to allow one color value to be specified for each triangular face rather than for each point in a triangulation. 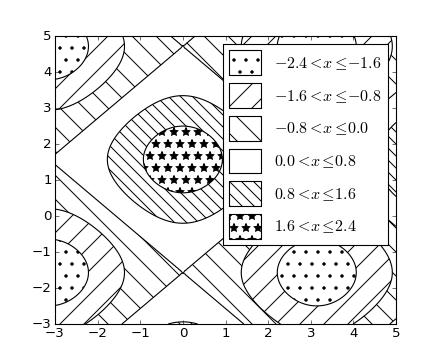 Phil Elson added support for hatching to contourf(), together with the ability to use a legend to identify contoured ranges. When using the Qt4Agg backend with IPython 0.11 or later, the save dialog will not display. This should be fixed in a future version of IPython. 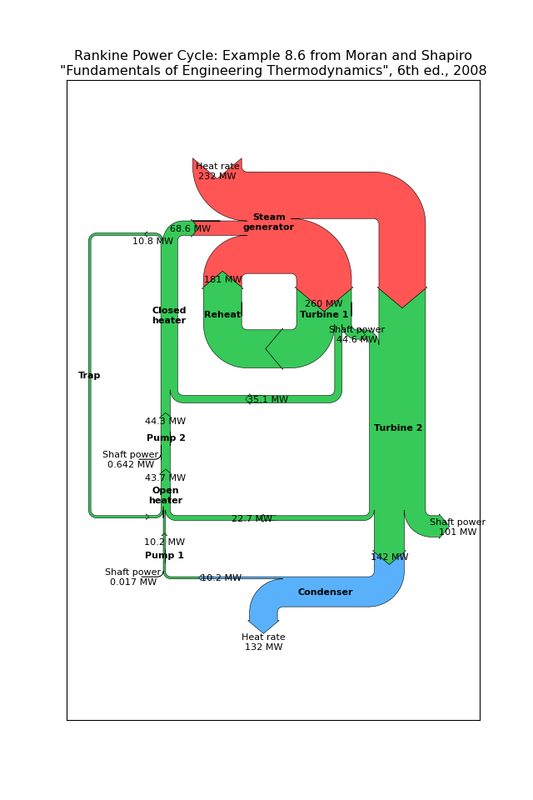 Kevin Davies has extended Yannick Copin’s original Sankey example into a module (sankey) and provided new examples (api example code: sankey_demo_basics.py, api example code: sankey_demo_links.py, api example code: sankey_demo_rankine.py). Ryan May has written a backend-independent framework for creating animated figures. 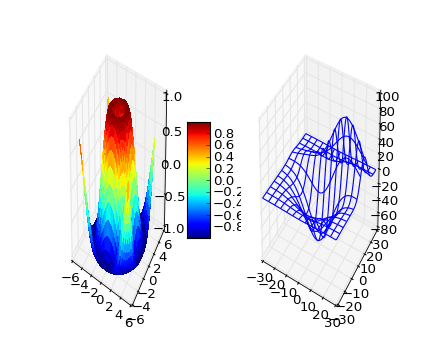 The animation module is intended to replace the backend-specific examples formerly in the Matplotlib Examples listings. Examples using the new framework are in animation Examples; see the entrancing double pendulum which uses matplotlib.animation.Animation.save() to create the movie below. This should be considered as a beta release of the framework; please try it and provide feedback. 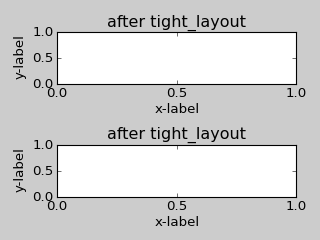 A frequent issue raised by users of matplotlib is the lack of a layout engine to nicely space out elements of the plots. 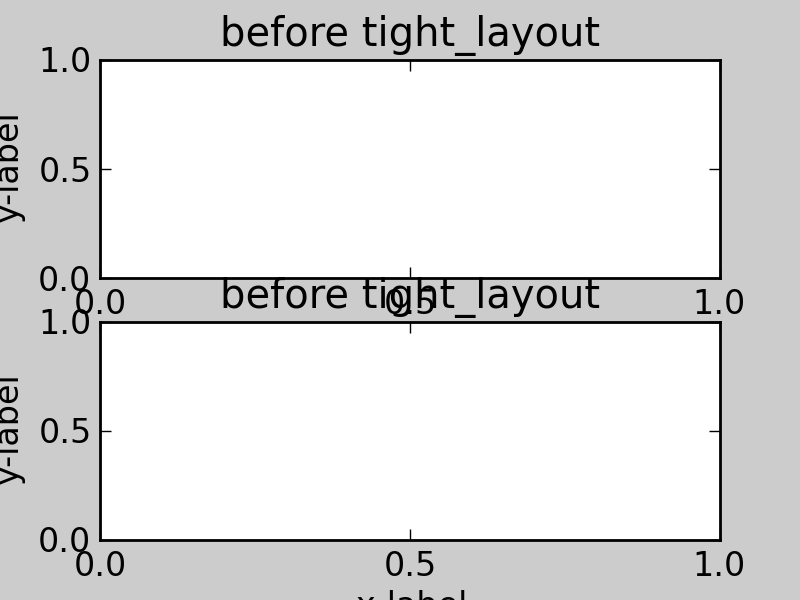 While matplotlib still adheres to the philosphy of giving users complete control over the placement of plot elements, Jae-Joon Lee created the tight_layout module and introduced a new command tight_layout() to address the most common layout issues. 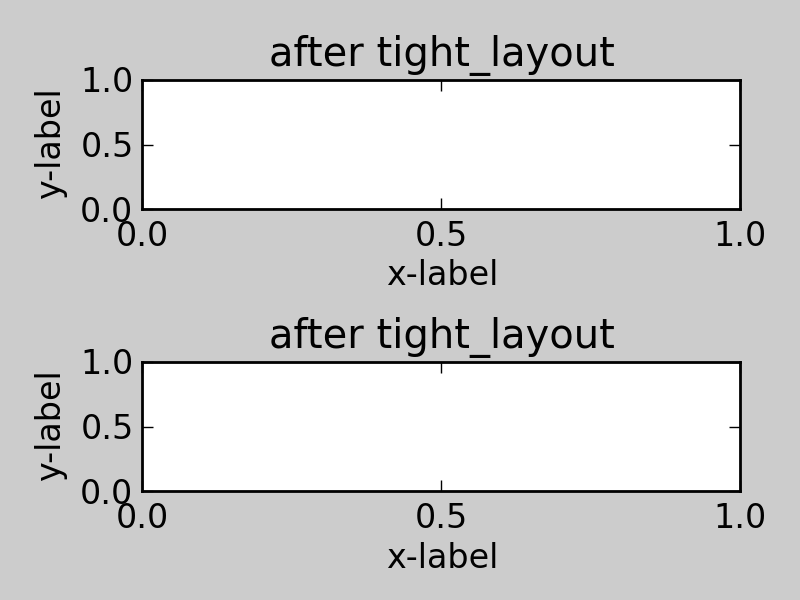 and it will adjust the spacing between subplots so that the axis labels do not overlap with neighboring subplots. A Tight Layout guide has been created to show how to use this new tool. Gerald Storer made the Qt4 backend compatible with PySide as well as PyQT4. At present, however, PySide does not support the PyOS_InputHook mechanism for handling gui events while waiting for text input, so it cannot be used with the new version 0.11 of IPython. 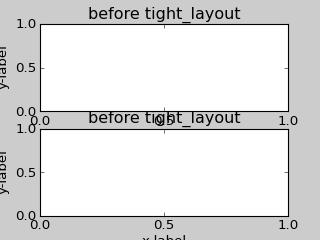 Until this feature appears in PySide, IPython users should use the PyQT4 wrapper for QT4, which remains the matplotlib default. An rcParam entry, “backend.qt4”, has been added to allow users to select PyQt4, PyQt4v2, or PySide. The latter two use the Version 2 Qt API. 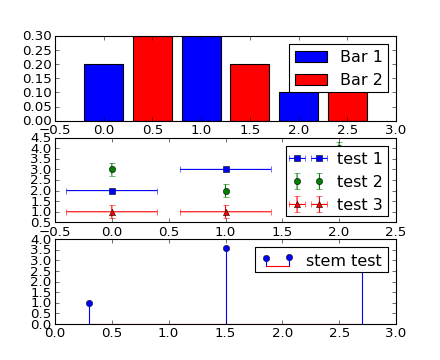 In most cases, users can ignore this rcParam variable; it is available to aid in testing, and to provide control for users who are embedding matplotlib in a PyQt4 or PySide app. Jae-Joon Lee has improved plot legends. 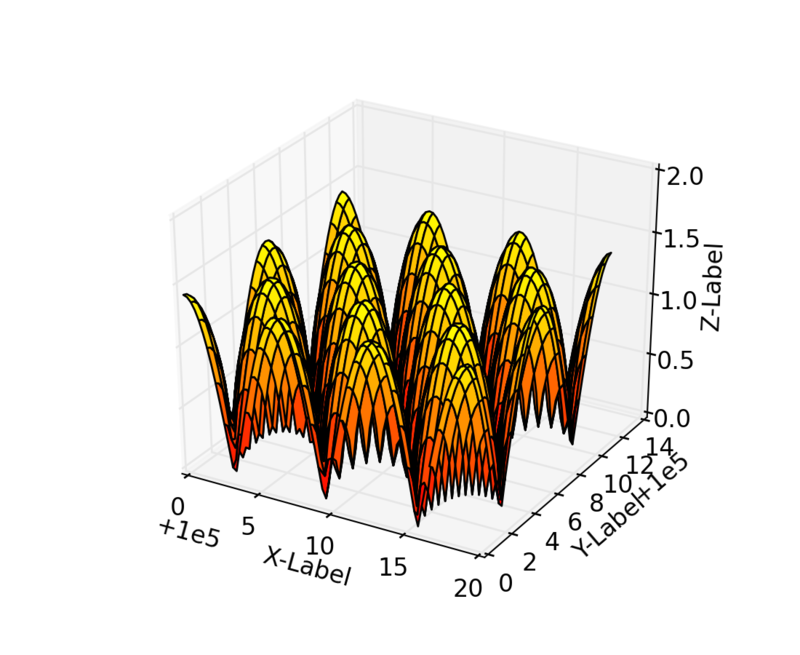 First, legends for complex plots such as stem() plots will now display correctly. Second, the ‘best’ placement of a legend has been improved in the presence of NANs. 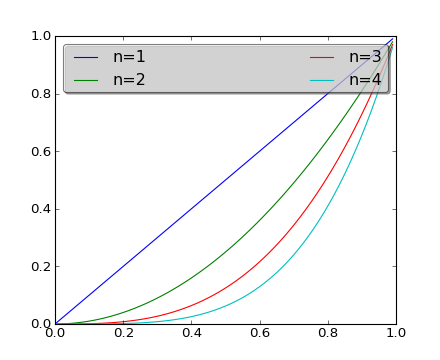 See Legend of Complex Plots for more detailed explanation and examples. In continuing the efforts to make 3D plotting in matplotlib just as easy as 2D plotting, Ben Root has made several improvements to the mplot3d module. After more than two years of deprecation warnings, Numerix support has now been completely removed from matplotlib. The list of available markers for plot() and scatter() has now been merged. 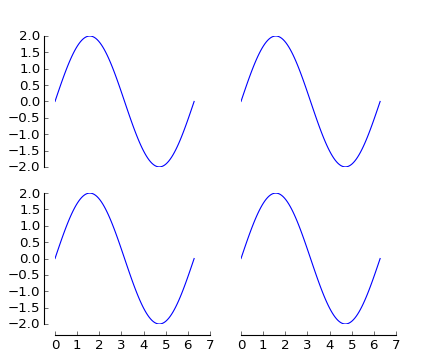 While they were mostly similar, some markers existed for one function, but not the other. This merge did result in a conflict for the ‘d’ diamond marker. Now, ‘d’ will be interpreted to always mean “thin” diamond while ‘D’ will mean “regular” diamond. Thanks to Michael Droettboom for this effort. PolarAxes gains getters and setters for “theta_direction”, and “theta_offset” to allow for theta to go in either the clock-wise or counter-clockwise direction and to specify where zero degrees should be placed. 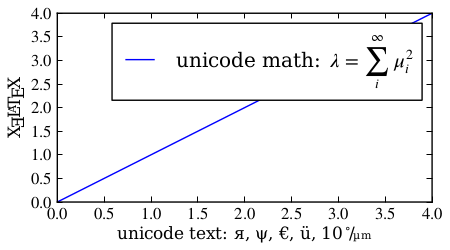 set_theta_zero_location() is an added convenience function. axes.labelweight parameter added to rcParams. For imshow(), interpolation=’nearest’ will now always perform an interpolation. A “none” option has been added to indicate no interpolation at all. An error in the Hammer projection has been fixed. clabel for contour() now accepts a callable. Thanks to Daniel Hyams for the original patch. Jae-Joon Lee added the HBox and VBox classes. Christoph Gohlke reduced memory usage in imshow(). scatter() now accepts empty inputs. The behavior for ‘symlog’ scale has been fixed, but this may result in some minor changes to existing plots. This work was refined by ssyr. Peter Butterworth added named figure support to figure(). Michiel de Hoon has modified the MacOSX backend to make its interactive behavior consistent with the other backends. 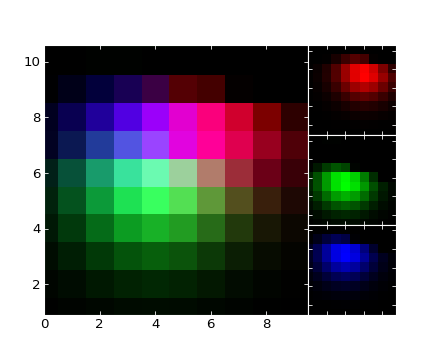 Pim Schellart added a new colormap called “cubehelix”. 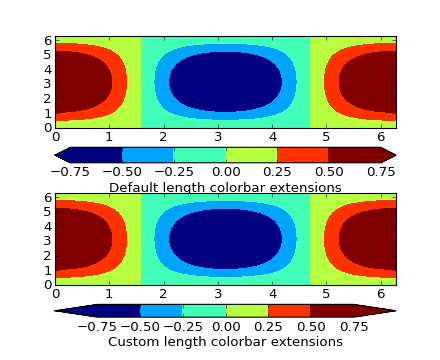 Sameer Grover also added a colormap called “coolwarm”. See it and all other colormaps here. Many bug fixes and documentation improvements. 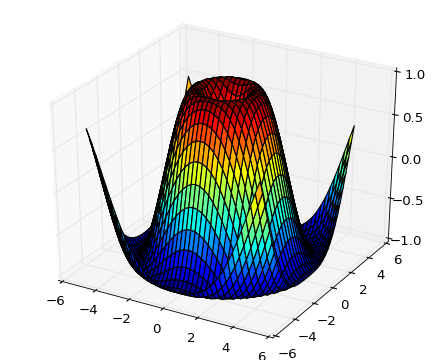 Simon Ratcliffe and Ludwig Schwardt have released an HTML5/Canvas backend for matplotlib. The backend is almost feature complete, and they have done a lot of work comparing their html5 rendered images with our core renderer Agg. The backend features client/server interactive navigation of matplotlib figures in an html5 compliant browser. 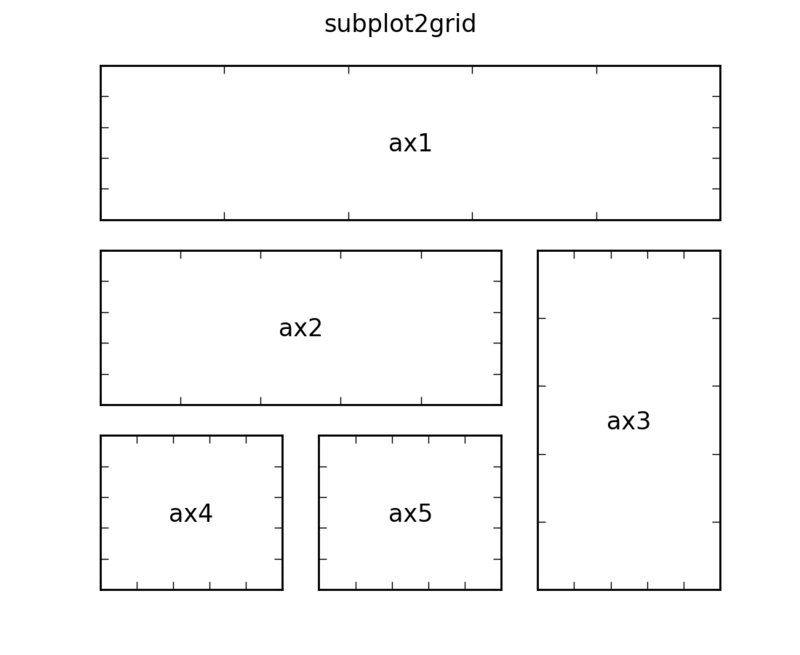 Jae-Joon Lee has written gridspec, a new module for doing complex subplot layouts, featuring row and column spans and more. 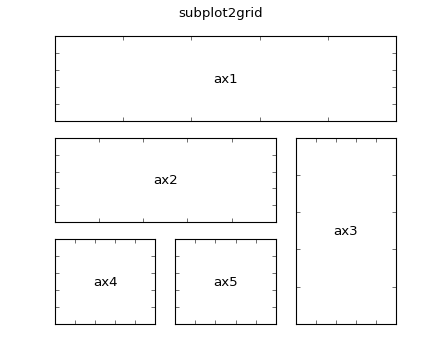 See Customizing Location of Subplot Using GridSpec for a tutorial overview. 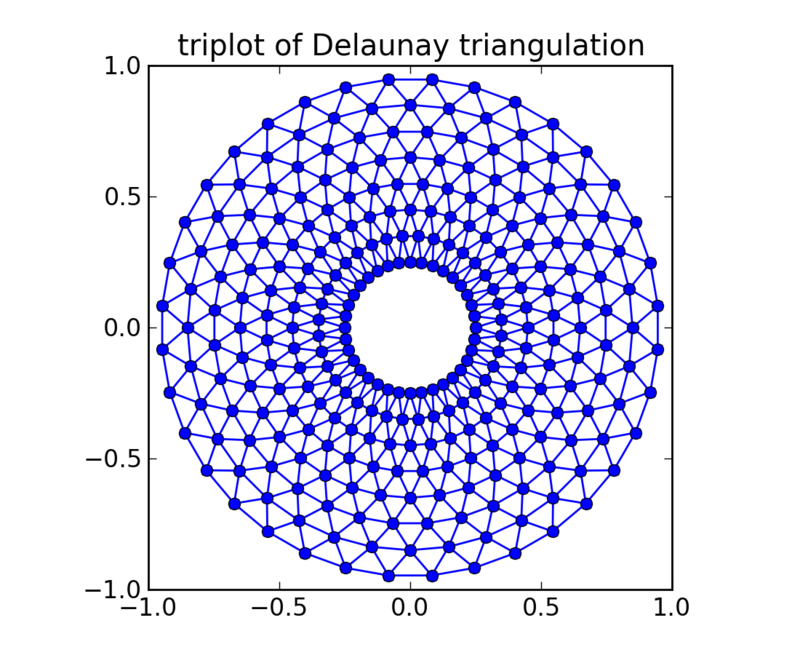 See pylab_examples example code: subplots_demo.py for several code examples. Ian Thomas has fixed a long-standing bug that has vexed our most talented developers for years. contourf() now handles interior masked regions, and the boundaries of line and filled contours coincide. 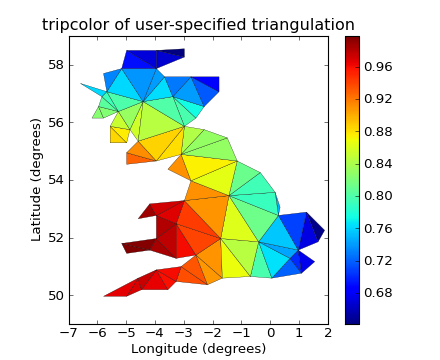 Additionally, he has contributed a new module tri and helper function triplot() for creating and plotting unstructured triangular grids. A long standing request is to support multiple calls to show(). This has been difficult because it is hard to get consistent behavior across operating systems, user interface toolkits and versions. Eric Firing has done a lot of work on rationalizing show across backends, with the desired behavior to make show raise all newly created figures and block execution until they are closed. Repeated calls to show should raise newly created figures since the last call. Eric has done a lot of testing on the user interface toolkits and versions and platforms he has access to, but it is not possible to test them all, so please report problems to the mailing list and bug tracker. 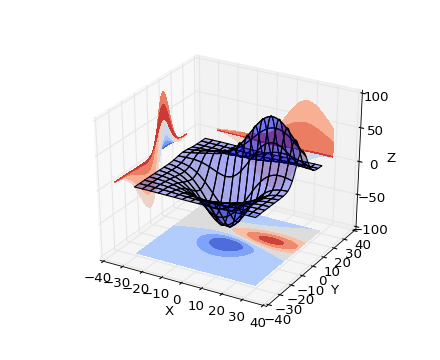 You can now place an mplot3d graph into an arbitrary axes location, supporting mixing of 2D and 3D graphs in the same figure, and/or multiple 3D graphs in a single figure, using the “projection” keyword argument to add_axes or add_subplot. Thanks Ben Root. Eric Firing wrote tick_params, a convenience method for changing the appearance of ticks and tick labels. 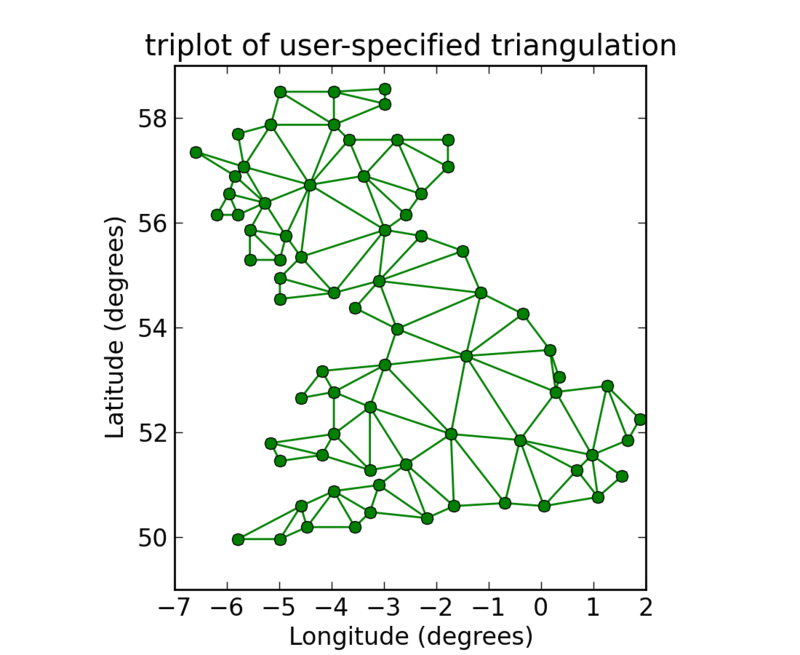 See pyplot function tick_params() and associated Axes method tick_params(). 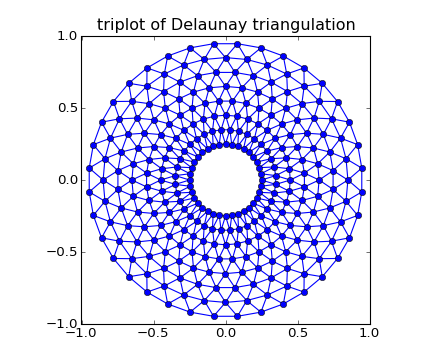 The matplotlib trunk is probably in as good a shape as it has ever been, thanks to improved software carpentry. We now have a buildbot which runs a suite of nose regression tests on every svn commit, auto-generating a set of images and comparing them against a set of known-goods, sending emails to developers on failures with a pixel-by-pixel image comparison. Releases and release bugfixes happen in branches, allowing active new feature development to happen in the trunk while keeping the release branches stable. Thanks to Andrew Straw, Michael Droettboom and other matplotlib developers for the heavy lifting. Eric Firing went on a bug fixing and closing marathon, closing over 100 bugs on the bug tracker with help from Jae-Joon Lee, Michael Droettboom, Christoph Gohlke and Michiel de Hoon. Jae-Joon Lee has written two new guides Legend guide and Annotating Axes. Michael Sarahan has written Image tutorial. 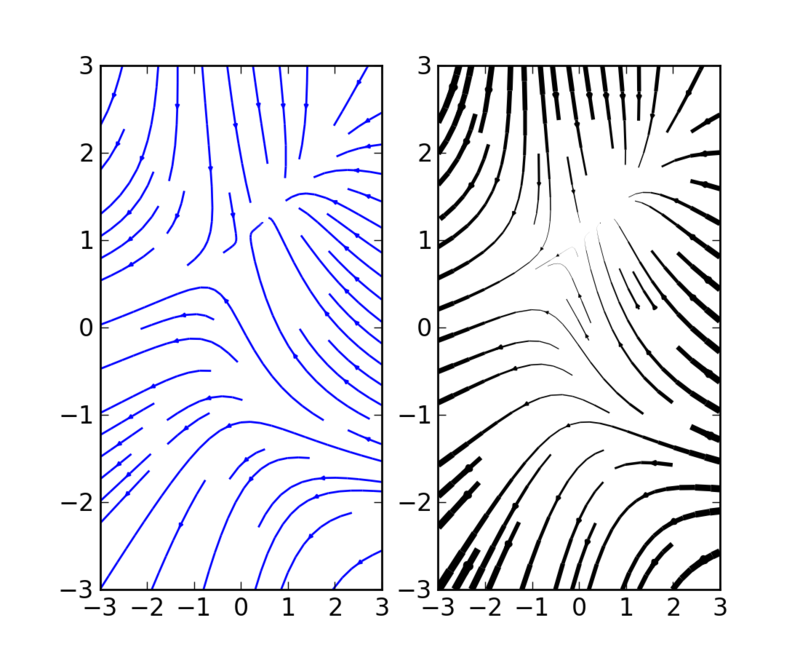 John Hunter has written two new tutorials on working with paths and transformations: Path Tutorial and Transformations Tutorial. 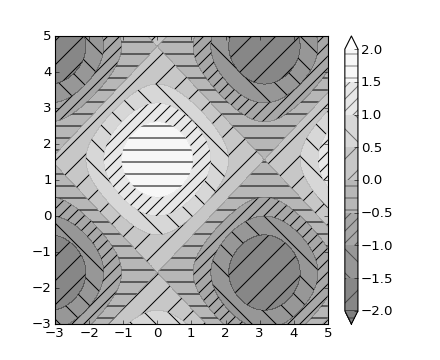 Jae-Joon Lee has added a new toolkit to ease displaying multiple images in matplotlib, as well as some support for curvilinear grids to support the world coordinate system. The toolkit is included standard with all new mpl installs. 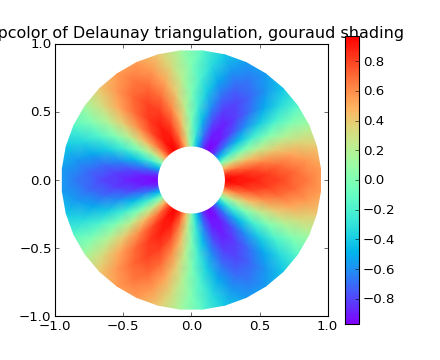 See axes_grid Examples and The Matplotlib AxesGrid Toolkit User’s Guide. 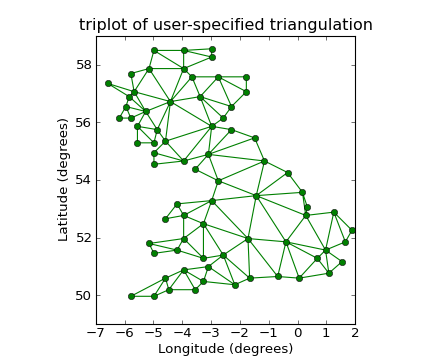 Andrew Straw has added the ability to place “axis spines” – the lines that denote the data limits – in various arbitrary locations. No longer are your axis lines constrained to be a simple rectangle around the figure – you can turn on or off left, bottom, right and top, as well as “detach” the spine to offset it away from the data. 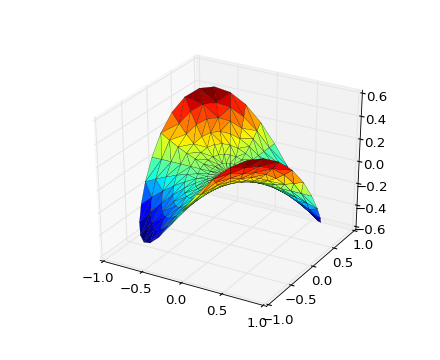 See pylab_examples example code: spine_placement_demo.py and matplotlib.spines.Spine. It’s been four months since the last matplotlib release, and there are a lot of new features and bug-fixes. Jae-Joon has rewritten the legend class, and added support for multiple columns and rows, as well as fancy box drawing. See legend() and matplotlib.legend.Legend. 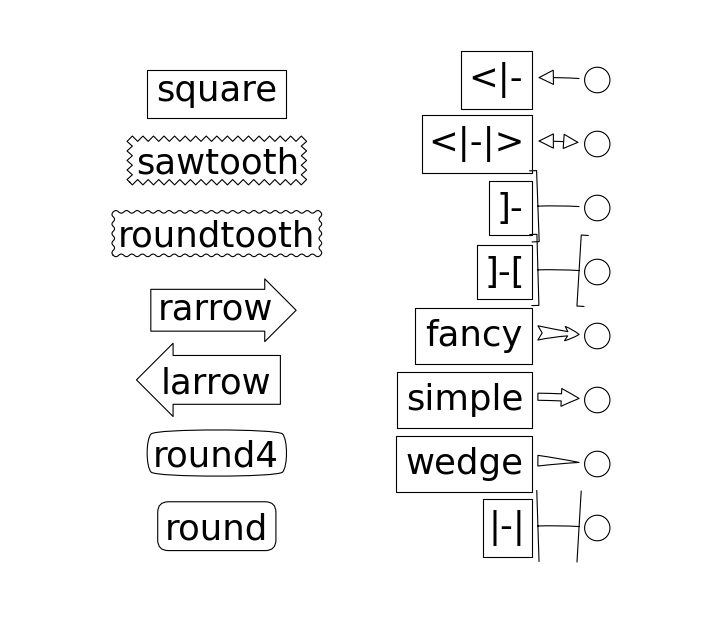 Jae-Joon has added lot’s of support to annotations for drawing fancy boxes and connectors in annotations. See annotate() and BoxStyle, ArrowStyle, and ConnectionStyle. Ryan May did a lot of work to rationalize the amplitude scaling of psd() and friends. See pylab_examples example code: psd_demo2.py. and pylab_examples example code: psd_demo3.py. The changes should increase MATLAB compatabililty and increase scaling options. Added a fill_between() function to make it easier to do shaded region plots in the presence of masked data. You can pass an x array and a ylower and yupper array to fill betweem, and an optional where argument which is a logical mask where you want to do the filling. the rest markup in the ipython shell also confused the docstrings.